Join Rolf for a dynamic program of Vinyasa, Meditation, Pranayama and lecture/discussion as we explore the practices that create a life that works. Through the day, we will dive into the tools of yoga that allow us to stay connected to the truth of who we are as we practice new ways of being in the world. The yoga will be a synergy of the freedom of a powerful Vinyasa class and the structural integrity of yoga's therapeutic alignment principles. The intensive is intentionally challenging, but open to all who wish to explore yoga as an evolutionary journey. The only 'requirement' is that you show up, do your best and let your best be good enough. Yoga is the cultivation of inner space and the ability to use it well. In this meditation workshop, Rolf will describe the opportunity presented to us in the teachings of the Buddha and Patanjali. This experiential workshop will explore how these great contributions to consciousness weave beautifully together to enhance the quality of our daily lives. This will be in lecture discussion form and guided meditation experience with support in beginning or building on your own meditation practice. In this asana-based session we will explore being grounded in our practice and inspired in our lives. We will allow our practice to give voice to the great heart within us. The session will include Vinyasa, meditation and lecture/discussion. The yoga will be a synergy of the freedom of a powerful Vinyasa class and the structural integrity of yoga's therapeutic alignment principles. The intensive is intentionally challenging, but open to all who wish to explore yoga as an evolutionary journey. The only 'requirement' is that you show up, do your best and let your best be good enough. Rolf Gates, author of the bestselling books on yogic philosophy, Meditations from the Mat: Daily Reflections on the Path of Yoga, and the newly released: Meditations on Intention and Being: Daily Reflections on the Path of Yoga, Mindfulness and Compassion, conducts yoga workshops, retreats, teacher trainings, and coaching and mentorship programs throughout the U.S. and abroad--and online. Rolf and his work have been featured in numerous media, including Yoga Journal, ORGINS, Natural Health, People Magazine, and Travel and Leisure's 25 Top Yoga Studios in the World. Rolf is the co-founder of the Yoga, Meditation and Recovery Conference at the Esalen Institute in Big Sur, California and the Kripalu Center for Yoga and Health in Lenox, Massachusetts and a teacher at Spirit Rock Insight Meditation Center in Northern CA. He is also on the Advisory Board for the Yoga Service Council and the Veterans Yoga Project. 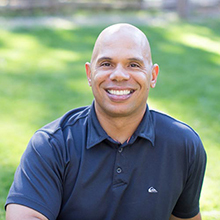 A former addictions counselor and U.S. Army Airborne Ranger who has practiced meditation for over twenty-five years, Rolf brings his eclectic background to his practice and his teachings. Rolf and his wife, Mariam Gates, author of Good Night Yoga: A Pose by Pose Bedtime Story and Good Morning Yoga: A Pose by Pose Wake Up Story, and Meditate with Me: A Step by Step Mindfulness Journey live in Santa Cruz, California with their two children. Also check out Rolf’s NEW CHILDREN’S BOOK: Yoga Friends; A Pose by Pose Partner Adventure! Coming from out of town? Click here for directions and local accomodations. Registration for workshops and teacher training is easy. Click below to open our secure online registration program at MINDBODY, Inc. You can also purchase class cards and gift certificates.